Gear selection in 3 Gun is very personal. The one thing we can recommend above everything is for you to go to a match, and ask other shooters what they like, why they like it, and ask to try it! This goes for guns, belts, shot shell caddies, holsters, gun carts, etc. There are many brands of belt out there. We recommend a stiff one that has an inner and an outer section. If it has modularity to it, that's a huge plus! Every 3 gun stage is different, and the more flexibility you can have with your equipment, the better. 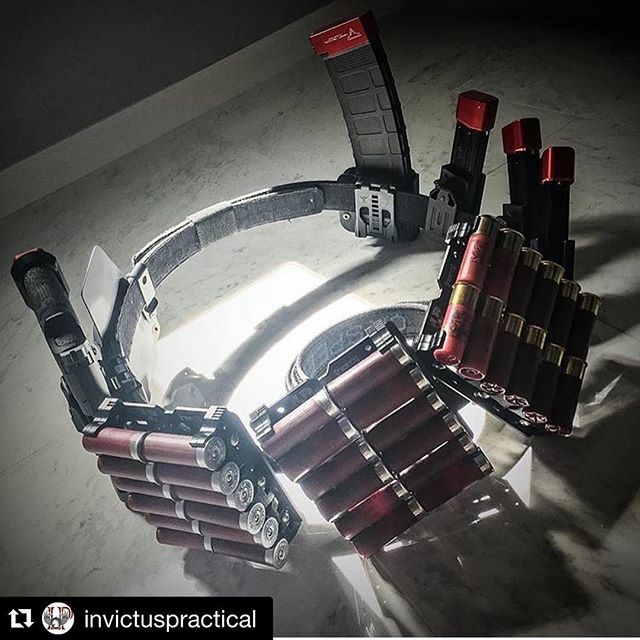 Belt attachment systems are just as important as the belt. 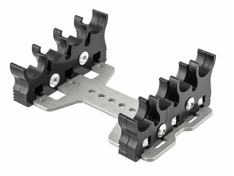 Tek-Lok and ELS are 2 modular attachment systems that are very popular in 3 Gun. You will run in 3 gun with a gun and mags on your belt. It is VERY important that you have a holster that will prevent the pistol from coming out while running. Many shooters use adjustable retention holsters that they can tighten down enough that the gun won't fall out while running. 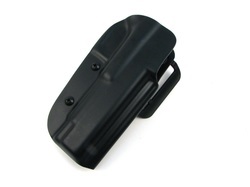 Locking retention holsters that use a thumb button to release the pistol are becoming more and more common. SERPA holsters are mostly out of favor due to the perceived risk of negligent discharge. There are 3 types of shotgun loading. Traditional, dual loading, and quad loading. Your shotgun, and your training will dictate which method to use. Some caddies will allow you to do multiple types of loading. Caddies are personal, and the reasons for selecting them will have to do with retention, ease of shell release, and the position the shell fits in your hand (and your hand size!) Don't spend big money on caddies until you've tried most of the brands out at local matches.